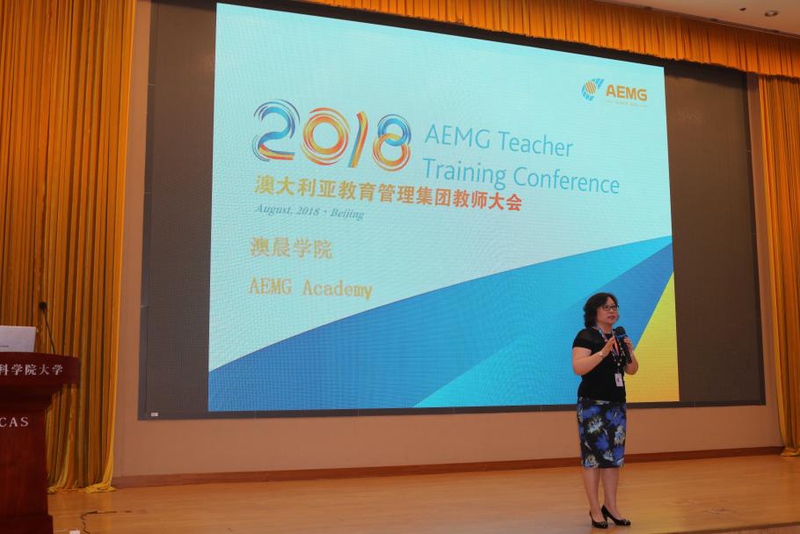 During 21st to 23rd August, 2018, Australia Education Management Group (AEMG) organized and held the three-day’s teacher training conference in Beijng. The aim of the conference is to build an international and efficient teaching team of AEMG. All of the teachers from all the branches nationwide attended the conference. On August 21rd, Ms. Jenny WANG, Director General of AEMG gave an opening speech. 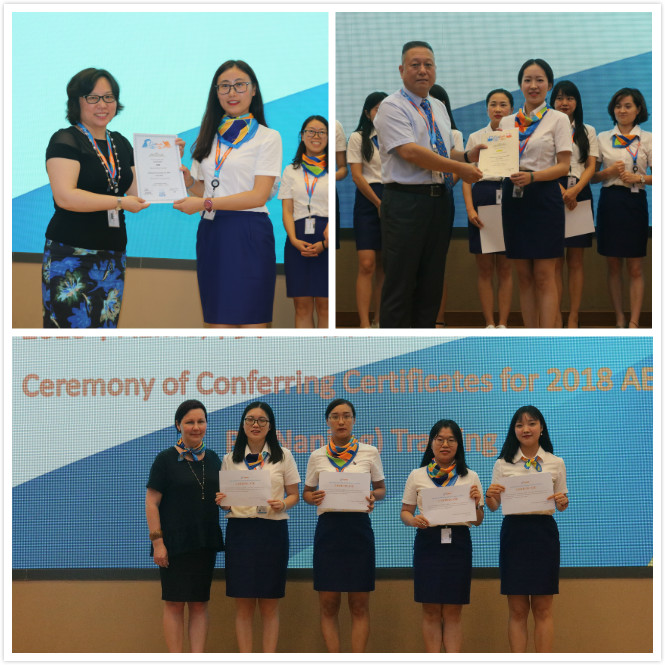 Ms. Joyce XU, the Executive Director of AEMG Academy, and Ms. Tatiana Voloshin, the director of Language Department, and other manager gave the speech from the aspects of AEMG Academy structure, departments and centers, how to build internationalized AEMG person, etc. Besides, Group leaders conferred certificates for the PD trainees at home and abroad. And the excellent trainee in English Demo Class Contest made a wonderful sharing. On 22nd, teachers from PD training fully demonstrated and shared the teaching theories and teaching methods they have gained with the teaching staff from different regions. Everyone actively participated in and gained a lot. On 23rd, all participating teachers discussed the difficulties and key points during the teaching of AEAP. After the Demo classes, each group commented and gave feedback to each other. 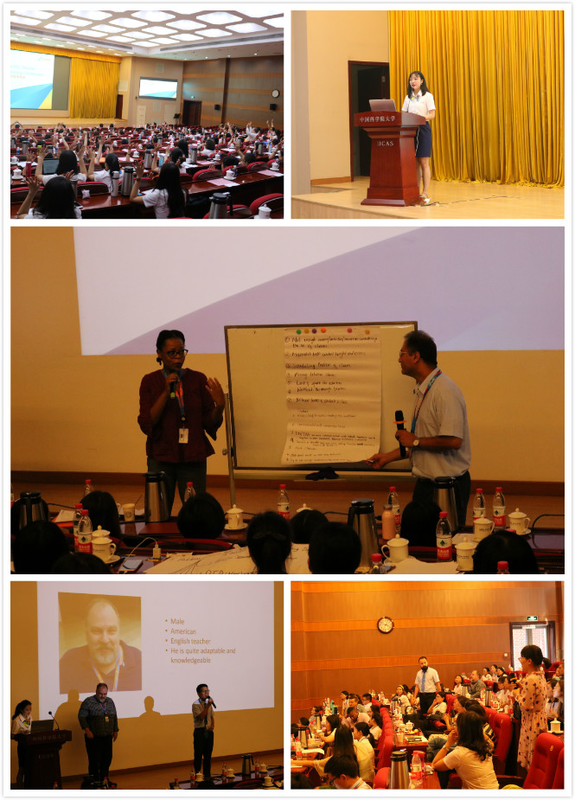 All the participants cooperated and integrated with each other, and the conference ended smoothly. Through this conference, the participants not only had a deeper understanding of AEMG Academy, but also further clarified the abilities and qualities that international AEMG teaching staff should possess. At the same time, the participants also enhanced teaching ability. Everyone believed that they would apply what they have learned to the future classroom practice, which laid foundation for the group to build an international teaching team!